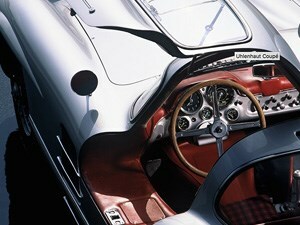 July 15 is the birthday of Rudolf Uhlenhaut, designer of the iconic 1955 Mercedes 300SLR, arguably (as always) one of the most beautiful cars ever penned. 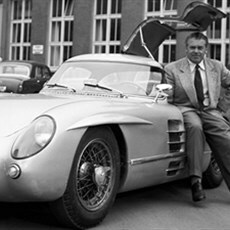 He was of German-English heritage, born in London in 1906, and later educated in Germany before joining Mercedes Benz in 1931. 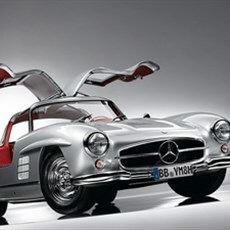 He first worked on the development of the Mercedes 170V, and rose to lead the race car department within the company from 1936, famously developing the 1937 Grand Prix dominating W125, which was considered the most powerful GP car right up until the turbo charged versions of the early ‘80s. 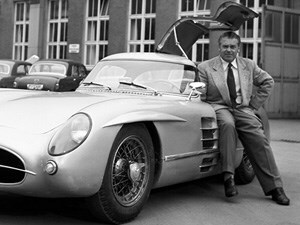 In 1952, using the chassis of the W186 limousine, he then developed the W194 300SL race car which went on to win the Le Mans 24 hour, surprising critics of its “underpowered” engine. 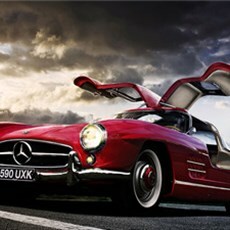 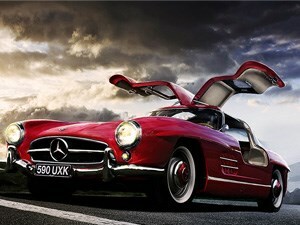 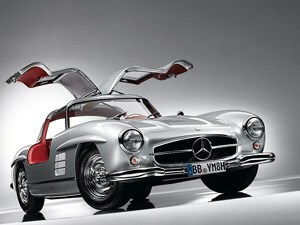 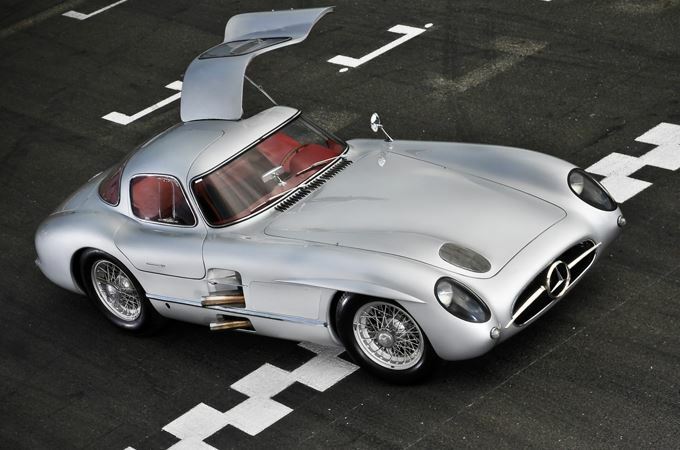 This car inspired the road going 1954 300SL Gullwing and 300SLR sport racer of 1955, with the W196 version winning the F1 championship two years running. 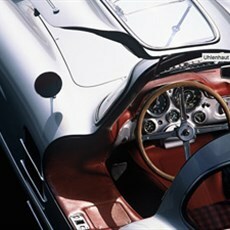 The SLR/SL hybrid was a road legal version of this car, this car dubbed the Uhlenhaut Coupé was capable of an astounding 290Km/h, earning it the reputation of not only one of history’s most beautiful designs, but also the fastest car of its era.